As importance of CMS is increasing when we are talking about RESTful API, Microservices and also using CMS in Application Development. Headless CMS, Decoupled CMS & Content as a Service (CaaS) are newer things and we guess this is a timely article for our readers. Many of these terminologies are quite ill-defined and commonly for practical purposes, for some use cases. WordPress is example of traditional monolithic CMS where theme actually drives the frontend. That theme is a barrier in development as that is no way flexible but good for some specific purposes only. These CMS gives us a way to store data on MySQL like database, a CRUD UI and obviously ways to display the fetched data. 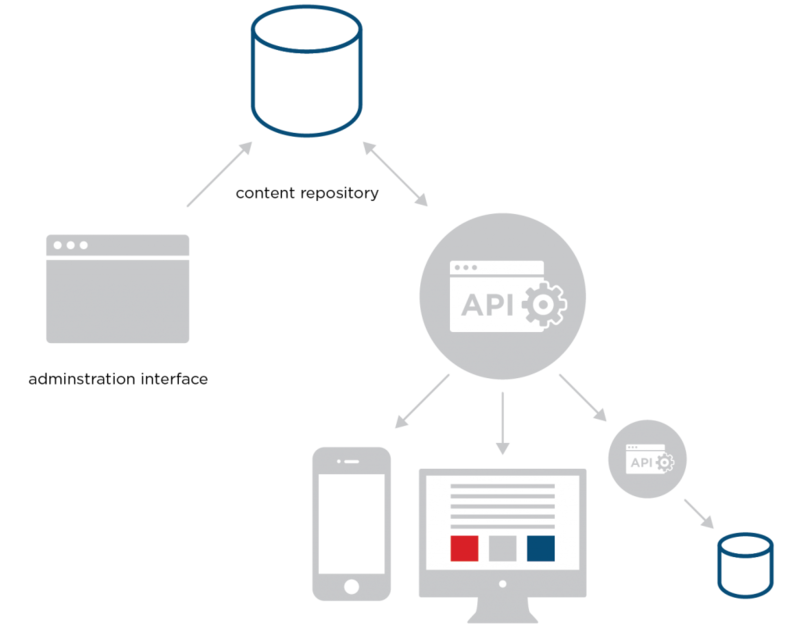 it is API that is directly related to fetching the data. So the content for the site is accessible via a web-service API, in a RESTful manner. Obviously WordPress has REST API that that brings that decoupled CMS architecture. But we are talking about those CMS which are Headless CMS, Decoupled CMS etc by default. A headless CMS stores and delivers content. Thats it. Exactly like a light web application with private backend. What will be at frontend that not determined by Headless CMS or Decoupled CMS. from where the content can be fetched via a RESTful API in a well-structured format, such as JSON. This Article Has Been Shared 6277 Times! Cite this article as: Abhishek Ghosh, "Headless CMS, Decoupled CMS and Content as a Service (CaaS)," in The Customize Windows, November 17, 2017, April 21, 2019, https://thecustomizewindows.com/2017/11/headless-cms-decoupled-cms-content-service-caas/.